Off-plan property transactions are all the rage in Dubai today. Check out the numbers: Off-plan transactions accounted for 58 per cent of all residential deals in Dubai from January to April 2017, according to Chestertons. This is as against 53 per cent in 2016 and 49 per cent in 2015. Clearly, off-plan is responsible for the pick-up in market activity in the first quarter of 2017. There was a 45 per cent increase in off-plan transactions in Q1 2017 as against Q4 2016. The first quarter alone witnessed 6,000 off-plan transactions in Dubai. So, what is causing this surge in demand for under-construction properties? Smaller ticket sizes have made off-plan properties more affordable for a majority of working class expats in the UAE. “Due to smaller ticket sizes, there are more end-users on the market now. You can buy a studio for Dh300,000 to Dh500,000. Before, the average ticket size was Dh1.7 million, which was out of bounds for most expats,” says Ivana Gazivoda Vucinic, head of advisory and research, Chestertons. Better regulation of off-plan properties, the need for escrow accounts and improved realisation rates are also adding to investor confidence in off-plan. While 30,000 units are in the pipeline in Dubai, at least 15,000 are expected to be delivered, according to Chestertons. Improved regulations governing off-plan are also giving comfort to banks in lending mortgages to end-users buying off-plan. “The land has to be paid in full, 20 per cent construction has to be completed, the escrow account has to be in place, Oqood registration, etc., make banks comfortable with lending to off-plan,” says Aly Rana, real estate finance and advisory, Mashreq Bank. “The biggest risk for a bank is to ensure that the project goes through. When we enter an off-plan project, we do due diligence, get our own cost consultant, analyse whether the payment plans are what the market will pick up, ensure the escrow account and mortgage need to be with us. We try to ensure as much as possible that the project reaches completion,” explains Rana. The UAE Central Bank needs a buyer to pay 50 per cent of the price for an off-plan project before opting for home finance. Developers have structured payment plans to suit this new requirement. Many require buyers to put in only a small down payment while the major chunk of the price is to be paid after handover. However, watch out for loopholes, warn bank executives. Very often, developers dangle incentives such as rental guarantees, back-loaded payment plans, free cars and other freebies to attract buyers. “Prepare your budget and have a contingency plan. The risk of an under-construction commitment is that it is three years away. Be careful of developers who offer incentives, cars, etc.. Ask yourself why they are having to do that if another developer isn’t. You are paying for that somewhere. You can check on the Rera website for details on every developer,” warns Christopher Taylor, CEO of Abu Dhabi Finance. “All payment plans are calculated in a way that will always be beneficial to the developer. The one-off developers might offer a slightly improved payment plan but it will not be worth it in the long term if the project doesn’t complete,” observes Mashreq’s Rana. Buyers must check whether a project has the backing of a bank, see the track record of the developer and balance sheet strength to ensure the development gets completed. “Customers must go speak to the bank. You can get an offer for mortgage for a few thousand dirhams. People’s don’t do that until they have paid their 30 per cent. They can also look at mortgage calculators on bank websites,” suggests Taylor. The biggest risk with off-plan is whether your property will be delivered on time and as per standards agreed upon. However, off-plan offers better capital appreciation potential. “We like it when developers leave prospects for capital appreciation and launch at sensible price points,” says ADF’s Taylor, adding that Abu Dhabi hasn’t had the same level of off-plan launches as Dubai. 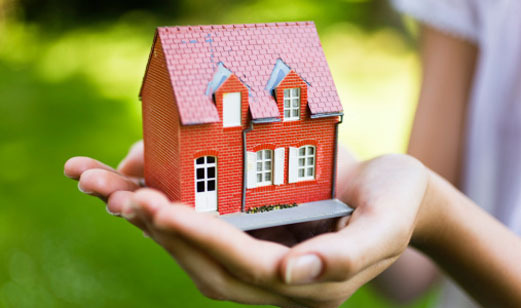 “Ready properties are safer and give better returns. People buy off-plan so they can manage their cashflow. Investors are going for off-plan as they expect price appreciation by 2020,” according to Mohammed Miqdadi, managing director, Durar Properties.